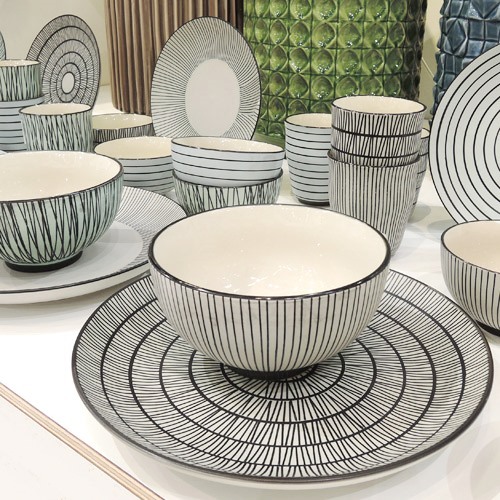 Bring stunning prints to the dinner table with this set of Pastel Afresh Plates by Pols Potten. 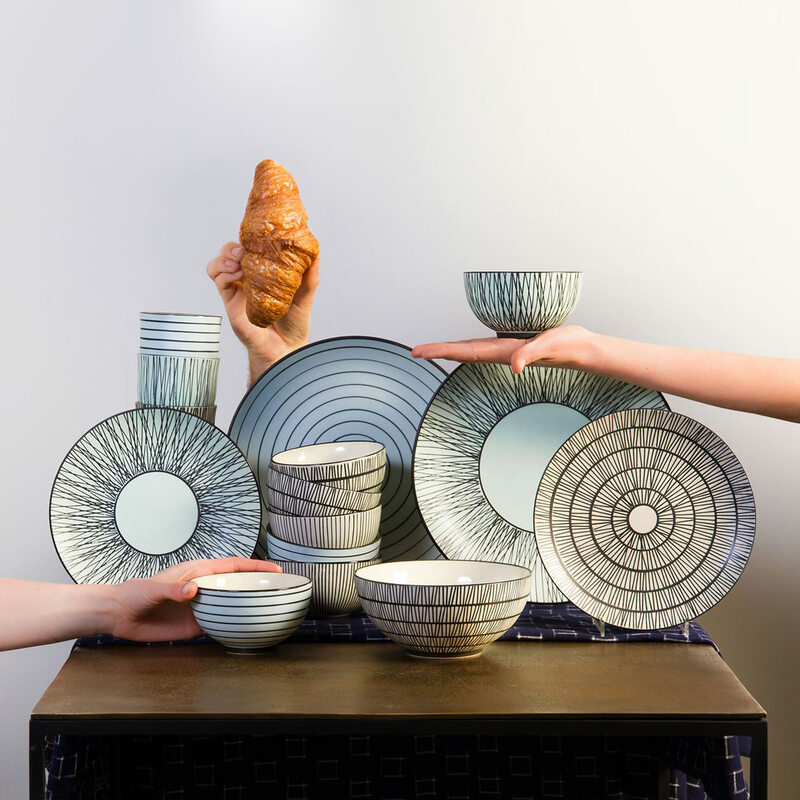 Designed by Studio pols potten, the Pastel Afresh Plate Set has a unique and modern design. 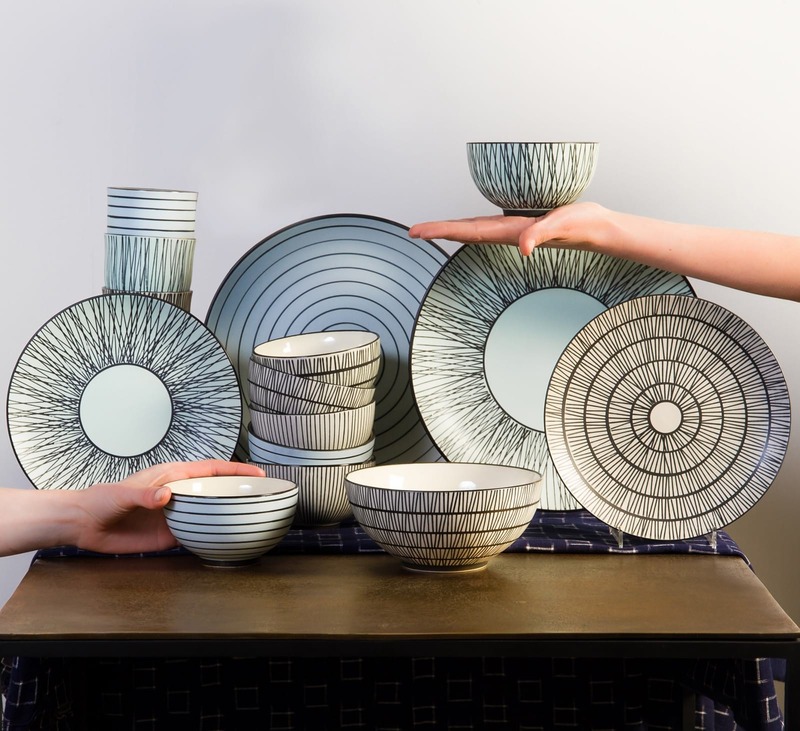 The set consists of four Ø 20cm plates which are made of porcelain. 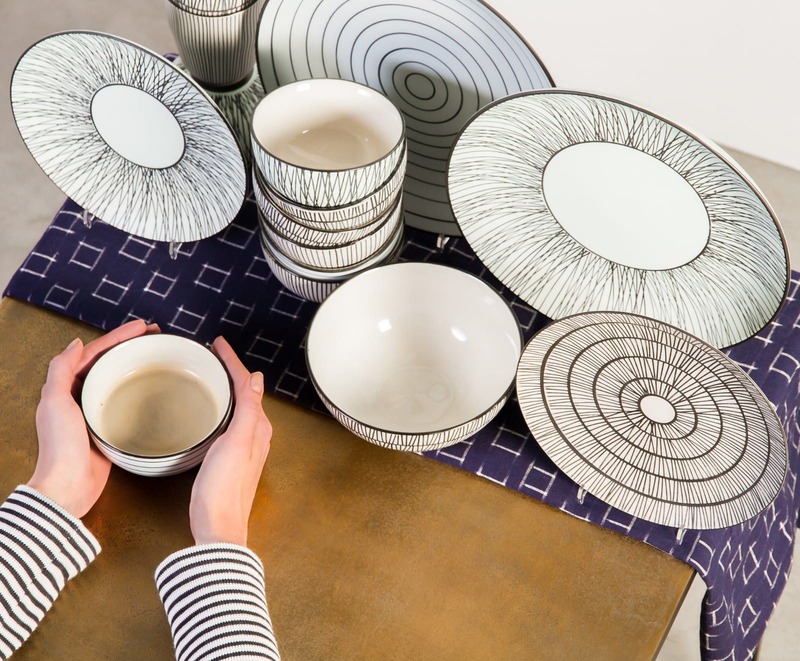 Each plate is separately painted and glazed by hand. 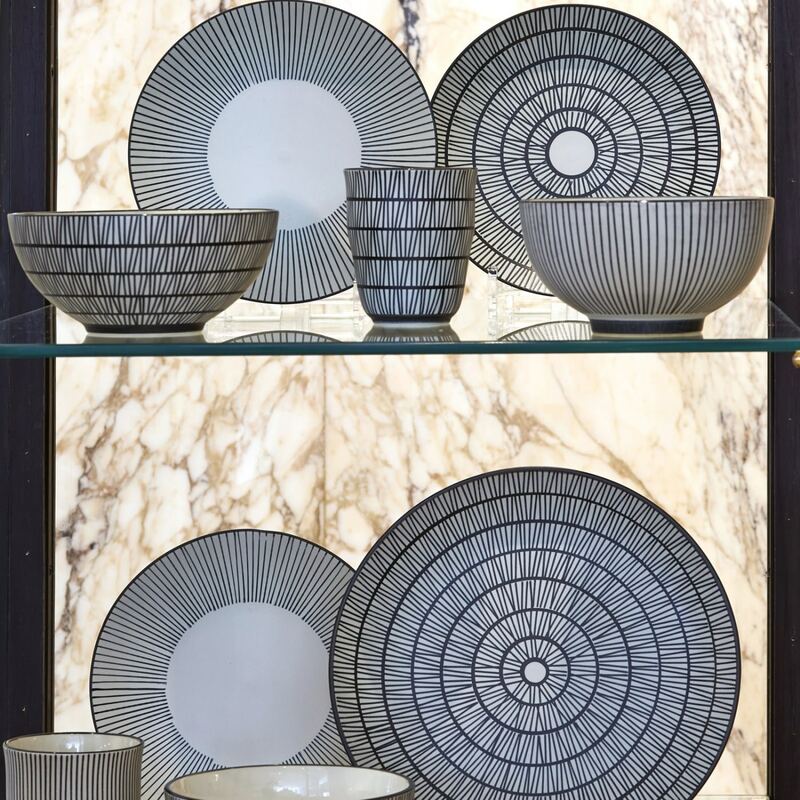 They feature geometric designs and stripes of various decorative shapes and styles. 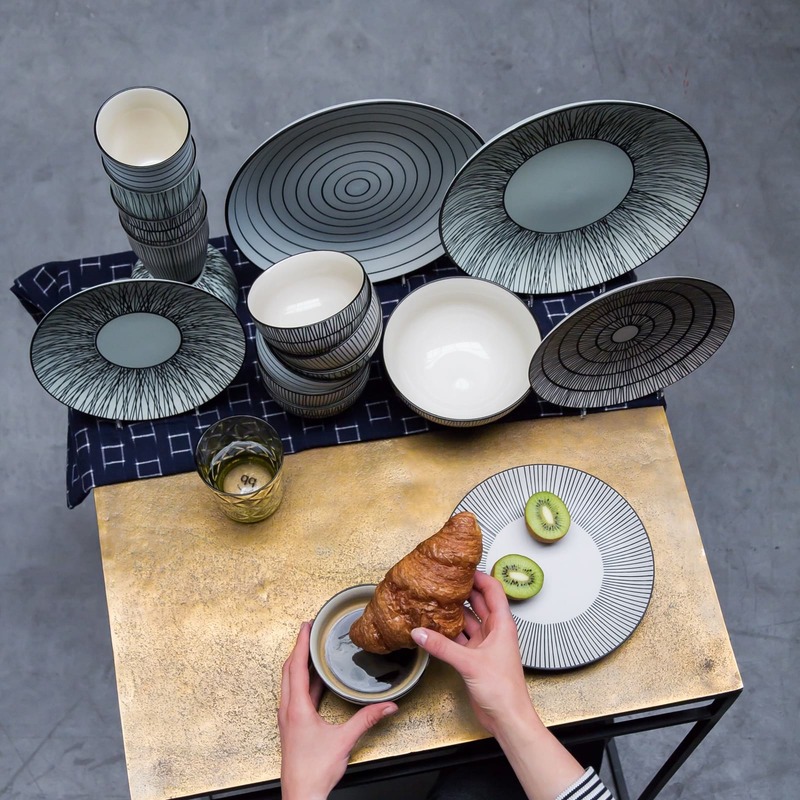 The pastel colors add a modern touch to the plates and in conjunction with the aery patterns the result is a distinctive summerish and contemporary design. Because of their glazed surface it is safe to wash the them in the dishwasher without being damaged. Matching bowls are also available to create a stylish matching look. Please note this product includes handmade elements, the finishing can be different on each item, making every piece unique. Finish: Glazed and painted by hand. Dimensions: Ø20 x H2,5 cm per plate. The set contains four plates. 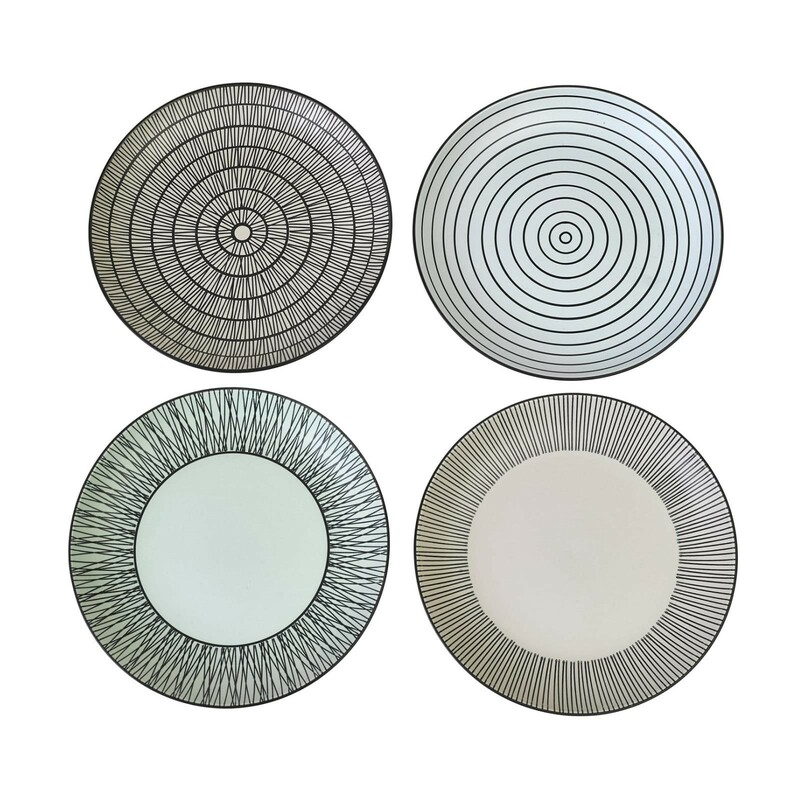 Each plate has a different design.